TAIPEI (Taiwan News) — Following several concerning reports about the state of Foxconn’s business abroad, and some rumors that the company was considering abandoning their multi-billion dollar panel production project in Wisconsin, the company has re-confirmed that despite some shift in focus, the Mount Pleasant panel factory remains on track. The statement from Foxconn followed a reported phone conversation between U.S. President Donald Trump and CEO Terry Gou. 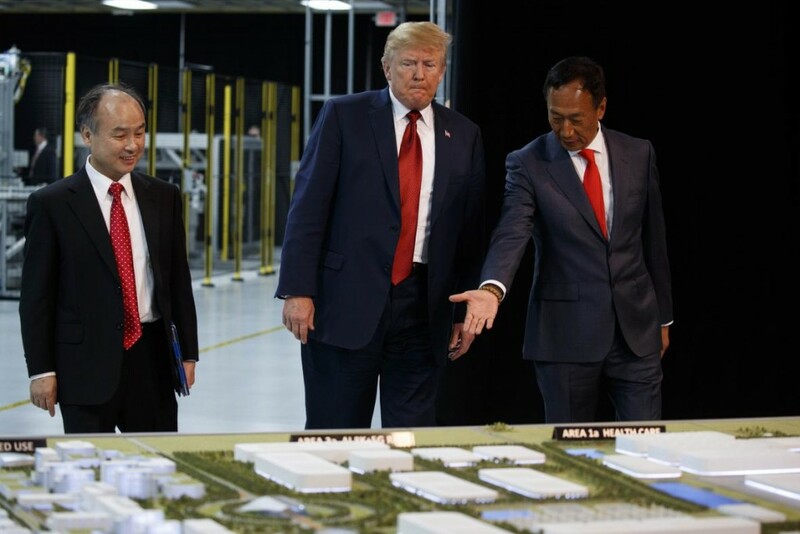 Trump released a tweet reading “Great News on Foxconn in Wisconsin after my conversation with Terry Gou,” with a link to a CNBC article on the company doing “damage control” in Wisconsin. Despite failing to meet hiring expectations for 2018, and failing qualify for tax incentives, Foxconn in mid-January said that they were confident in their hiring prospects and the pace of development for the US$10 billion Wisconsin factory.